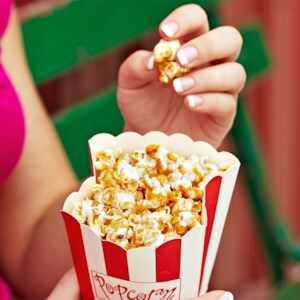 Find healthy, delicious Halloween snack recipes including apple, popcorn and pumpkin seed recipes. Healthier recipes, from the food and nutrition experts at EatingWell. 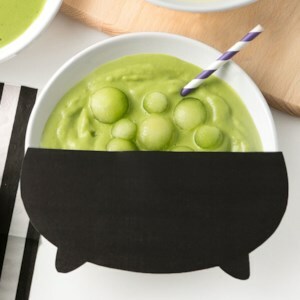 You'll have no problem getting your kids to eat their veggies when you present them in this fun, spooky way! 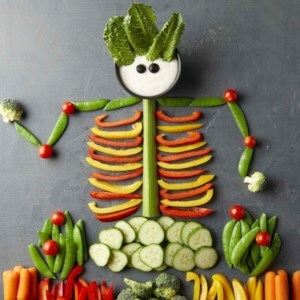 Crudités make up the body of a fun skeleton for an easy Halloween party snack everyone will love. 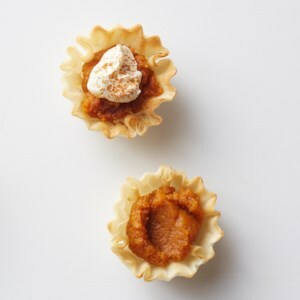 Crisp little phyllo dough shells get a creamy pumpkin filling. Caramel apples can contain up to 60 grams of carbohydrate, so try this lower-carb apple dipper option. 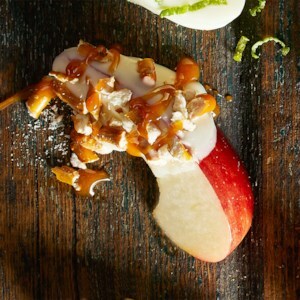 A tasty twist on the traditional recipe, apple slices are dipped in rich white chocolate, sprinkled with crushed pretzels, and topped with a sweet caramel drizzle. Caramel apples can contain up to 60 grams of carbs, but these apple dippers are a lower-carb option. These apple slices--dipped in melted butterscotch, drizzled with sweet maple syrup, and sprinkled with savory pecans--will remind you of your grandmother's pecan pie. Caramel apples are a delicious treat but can contain up to 60 grams of carbs. 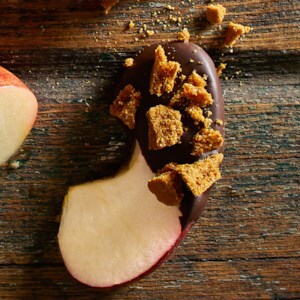 Satisfy your sweet craving with these lower-carb apple slices, dipped in peanut butter and sprinkled with chocolate pieces. Instead of reaching for a caramel apple that can contain up to 60 grams of carbs, make these apple dippers. 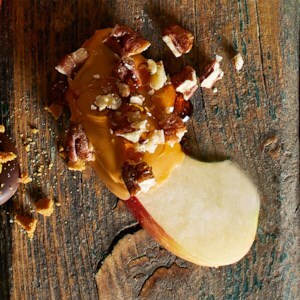 They are a lower-carb option, and the combination of bold dark chocolate and crunchy gingersnaps on a crisp apple make them a perfect sweet treat. 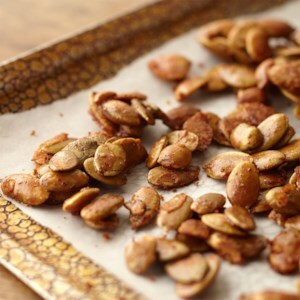 Garlic bread meets pumpkin seeds in this baked pumpkin seed recipe--and they really hit it off! 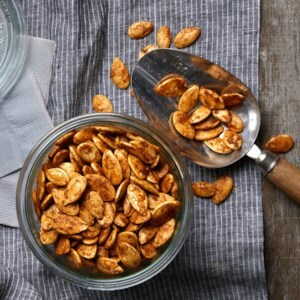 Salty, spicy and garlicky, these roasted pumpkin seeds are the perfect snack for any time of day. Increase the quantity of ground chile if you want 'em extra hot. Salt-and-vinegar seasoning isn't just for chips. 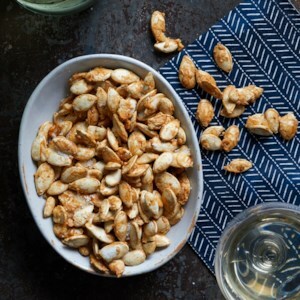 These roasted pumpkin seeds tossed with salt and vinegar are a briny, crunchy treat. 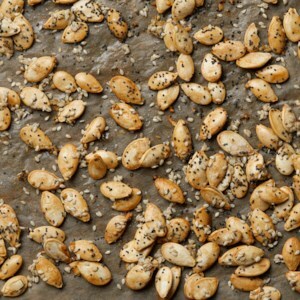 Soaking the seeds in vinegar ensures that the deep vinegary flavor remains after baking. "Everything" bagel spices give these roasted pumpkin seeds an extra hit of flavor that's delicious any time of day. 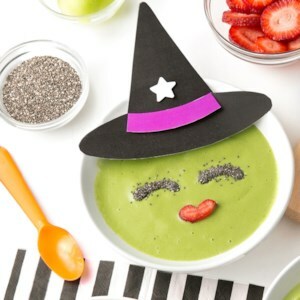 Have a little Halloween fun at breakfast or snack time with this healthy fruit smoothie bowl that's topped with chia seeds and strawberry to look like a witch. Here's an easy way to serve up some Halloween fun at breakfast or as an after-school snack. And it's way healthier than all the candy lying around this time of year. Make an easier, tastier jack-o'-lantern this year--no scooping or sawing required. 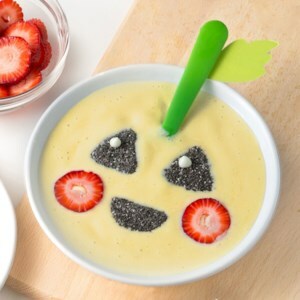 This delicious, creamy mango smoothie bowl gets topped with chia to make a healthy Halloween-themed snack or breakfast your kids will love. 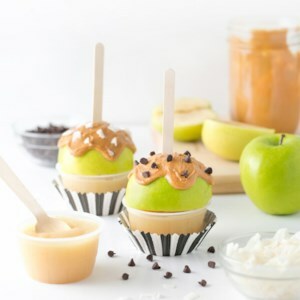 Turn an applesauce cup into a healthier "candied apple" with this easy snack idea. 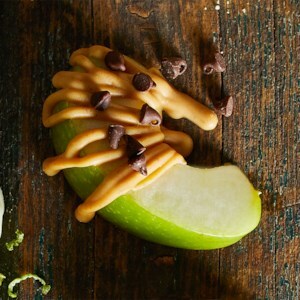 Just top the cup with half an apple and a drizzle of peanut butter for a cute snack kids will love. 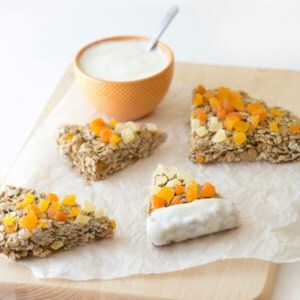 Inspired by the classic fall candy but without all the sugar, these festive granola bars are a nutritious and adorable alternative. 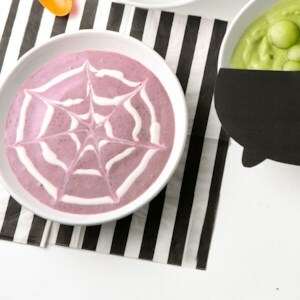 This spooky smoothie makes for a fun, healthy Halloween snack or breakfast. The spiderweb design is much easier than it looks--a perfect task for the kids! 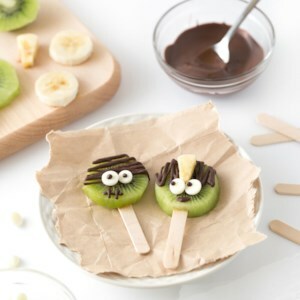 Kids will go crazy for these cute snacks that turn kiwi slices into Frankenstein's monster and bride. Plus, you'll feel great serving them a treat that's healthier than all that Halloween candy. 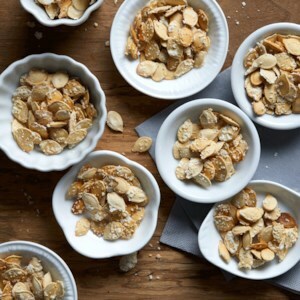 Toasted pumpkin seeds are flavored with a touch of sugar, lemon peel, cinnamon, and cayenne pepper for a sweet and savory autumn treat. 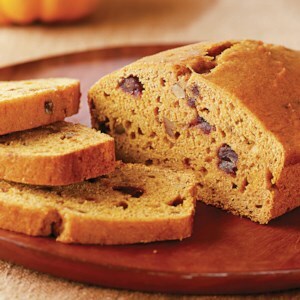 This honey-sweetened, nut- and date-studded pumpkin bread gets bright taste from orange zest and juice. Who knew you could make your own healthier homemade version of this craveable treat? And it tastes just as good.